Home / Shopping / Valentine’s Day Gift Ideas to Buy & Create! 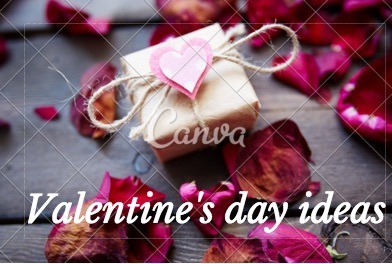 Valentine’s Day Gift Ideas to Buy & Create! Valentine’s day is just days away, so the pressure on the gift-giving front is building up. A recent research from lovethesales.com reveals that men, in particular, feel a huge amount of pressure picking the ‘right’ gift with 59% saying Valentine’s Day put more pressure on getting the ‘right’ gift than for Christmas and Birthdays. However, a whopping 69% of men participating in the research by online shopping hub lovethesales.com said that once in a happy stable relationship, the gift giving became less important as spending the day together takes priority. Over the weekend, lovethesales.com experienced a 60% increase of shoppers buying romantic gifts, with the most popular ones being: perfumes, watches and bags; this despite many labelling Valentine’s Day as superficial and not worth the hassle. According to national data the average spend on gifts for a spouse or partner is £41. That breaks down as an average of men spending £50 on their lady and women spending £32 on their man. So, while it looks like a time for men to take the lead, shopping smart is in for everyone. Research from lovethesales.com has shown that when it comes to treating loved ones, getting more for your money is important. Over 80% of people they spoke to in a recent survey said that ‘the sales’ were crucial to gift buying. And with the Valentines gift market approached the £2bn mark last year, perhaps the appetite for treating loved ones are here to stay after all; as long as it’s value for money. And if you do not have the money to spend on your loved one V-day present why not try to create it instead? Watch the videos from Wood Finished Direct to learn how to make a beautiful tea light holder, and plague from an old wooden pallet.